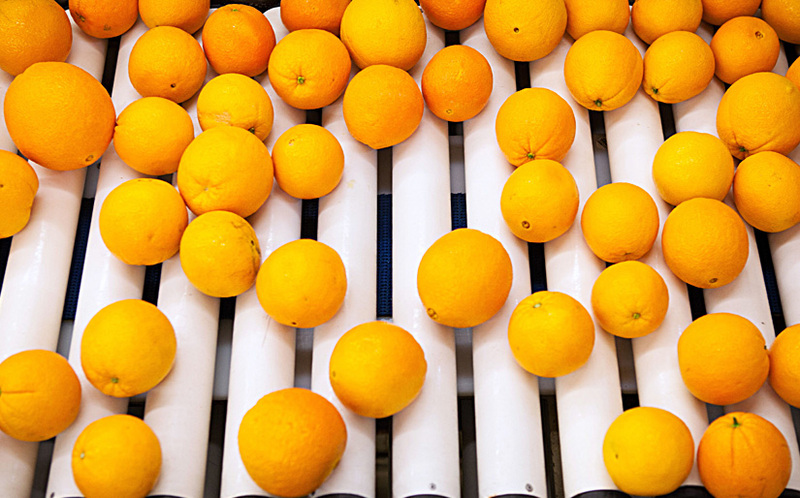 Consumers and retailers used to ask, “Is it tasty?” and “Is it fresh?” Now a third questions reflects a growing concern amongst today’s consumers and retailers, “Is it safe?” and Bee Sweet Citrus can confidently answer, “Yes” to all three questions. Our philosophy is that food safety begins at the citrus grove. When you begin the safety process at the source of the product, it reassures consumers that the fruit is free of pathogens – bacteria, parasites and viruses, that can cause illness. Committed to taking the necessary steps to prevent any cross contamination of our products, Bee Sweet Citrus grows crops under GAP (Good Agricultural Practices) guidelines to minimize the potential of contamination, and follows GFSI (Global Food Safety Initiative) schemes on all our ranches. In the packing house, we are meeting and exceeding food safety standards. Our employees follow rigorous guidelines regarding sanitation and bio-security to protect our fruit from contamination, while ensuring that all fruit is immediately inspected and secure the moment it arrives at our facility. Why go to such great lengths to self-regulate our food safety practices? Because it gives our growers, retailers and customers the security of knowing our products are the best they can be, and makes Bee Sweet Citrus among the most trusted brands in the industry.